Nerdtour Japan 2016: Once More With Sakura! – Nerdwatch! Nerdwatch! » cool things! » Nerdtour Japan 2016: Once More With Sakura! So, once again I prepare to depart for the Land of the Rising Sun, where the cherry blossoms (sakura) are in bloom! This will be a relatively short trip, only two weeks, but the goal is to take as many pictures of cherry trees in bloom in as many iconic Japanese places as possible, given the short time they bloom. 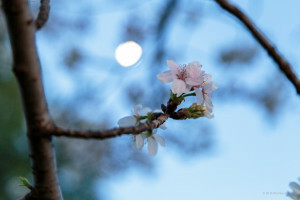 Plus since the Tidal Basin here in DC is full of cherry trees from Japan that are now also in bloom, I hope to take pictures of them before go, too! Blogging may be spotty, but I’ll try to at least post something each day. The Nerdtour 2016 starts Sunday, March 27! Tagged Cherry blossoms, Japan, nerdtour, Nerdtour 2016, Sakura. Bookmark the permalink.